LANDING in Cuba is like being smacked in the teeth by a benevolent lover. The earth literally heaves underfoot, toppling all comers from their pedestrian First World perch before clasping them in a seething, sweaty, all-levelling salsa embrace. It is the iron grip of a long-lost friend, wonderfully reassuring and energising. Like dogs shaking off the water in the bath, we left behind our “other” life to step into Cuba and the “real” world, the here and now, full of life, parties and endless banter about nothing particularly consequential. Being sensible Singaporeans, we started "slow". So, one evening, we lazily flitted from a ballet performance to an Afro-Cuban music bar, dinner, a jazz bar and then to a throbbing salsa club, emerging pink-eyed at 2am. And that was just another sleepy Sunday. Despite the economic hardships, Cubans thrive on a lifeline of music, art, architecture, salsa, cha-cha-cha, great food, mojitos, pina coladas and, of course, cigars. It’s not just a way of life – it’s a celebration. Our circuitous journey to Cuba began with a day trip (from Singapore) to Jakarta to collect our long-awaited Cuban visa. After a wait of two months and mountains of e-mail, we finally got to meet with Mr Gonzalez, the consul-general. By the time he had written the last of his recommendations, we could not wait for the bruising 35-hour flight to Havana. 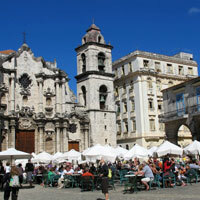 Here’s a fun sampler in this snapshot Cuba guide. Start by learning the history of rum-making in the Museo del Ron Havana Club (www.havana-club.com) where a guided tour will give you the A-Z of how this ubiquitous liquor is brewed. Complimentary shots served in the bar draw the tour to a happy ending, while bottles of rum or quality souvenir shirts bagged from the gift shop will sustain the happiness quotient long after your return home. A 45-minute tour of the Partagas Cigar Factory in Havana (Real Fabrica de Tabacos Partagas) ranks highly on the agenda for any visitor, especially a cigar aficionado. However, to gain a firsthand insight into how the tobacco leaves are grown, harvested, cured and fermented before they are transported to the factories, go west to the El Paraiso Tobacco Plantation in Pinar del Rio – Cuba’s most western province where the best cigars originate. 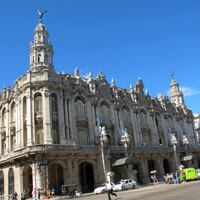 Beautifully adorned with Neo-baroque architectural influences, the Gran Teatro de la Habana is home to the acclaimed Nacional Ballet de Cuba founded in 1948 by Alicia Alonso and the Cuban National Opera. Scintillating performances showcase the best of Cuban talent by gifted dancers who pirouette their way into the audience’s heart. Depending on the calendar of events, a weekend performance may start at 5pm; perfect for a pre-dinner outing. Helmed by a chef from Malaga, Spain, the excellent seafood dishes and engaging service by manager Jorge Martinez and his team make the El Templete Restaurant one of the best bets in town. Inquisitive palates will relish the baby eel served Basque-style in olive oil and garlic – an entrée that is simple in flavour but firm on bite. Call ahead to reserve a table in the alfresco section at dinnertime. Reservations are a must as every Cuba guide will underline, as celebrities like Sting or Sean Penn might turn out to be fellow dining companions. Housed atop a decrepit 1913 building with living quarters for 42 families, Paladar La Guarida’s (www.laguarida.com) innovative renewal of typical Cuban cuisine makes it a popular haunt for dining mavens. Upon entering the private home, or paladar, the hustle and bustle of the kitchen exudes a homely feel as the chefs whip up an endless stream of dishes. Reserve ahead for an intimate Cuban home dining experience, be it a table for two or eight. An outdoor cabaret institution since 1939, the two-hour Tropicana Nightclub extravaganza dazzles with a profusion of lavish costumes and hyper-octane performances by a bevy of dancers, singers and musicians. A stage-side table offers a bird’s eye view of tight cheeks and mile-long legs. Make a note of this for your Havana nightlife diary. 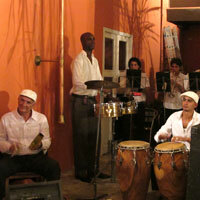 The atmosphere at the Museo del Ron Havana Club is almost electric with nightly music by remaining members of the internationally celebrated band, Buena Vista Social Club (www.buenavistasocialclub.com). Spanning everything from “son” – an African-Cuban fusion, the bedrock of island music – to salsa, the musicians and vocalists leave guests enthralled. Audience participation is a highlight, from giddy salsa dance steps to the conga line. Quiet during the day, the public space beside the Casa de la Musica (House of Music) in Trinidad reverberates to the sound of salsa from 10pm. Locals and tourists alike pack the tables or flow onto the flight of steps for a full view of the band and dancers, some of whom spontaneously emerge from the crowd to show off their fancy footwork. 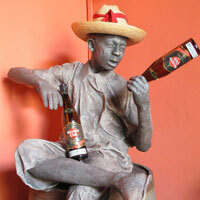 A short walk along the cobbled streets from the Casa de la Musica, Trinidad is Casa de la Trova. The courtyard speedily fills up with regulars and visitors enjoying the trova guitar renditions of this traditional music form. Formerly the home of a wealthy sugarcane baron, the Count Brunet Palace is today the Museo Romantico (Romantic Museum). Given the current economic hardship in Trinidad, the extravagant display of furniture inlaid with mother of pearl, silverware, sculptures, and fine china (including a spittoon from China), allows a rare peek into the privileged lifestyle of the wealthy set in their heyday. Sip a refreshing mojito at the La Bodeguita del Medio bar while waiting for your table to be ready. This former Ernest Hemingway hangout draws diners and barflies by the droves. Walls packed with photos of Hemingway and assorted glitterati are also crammed with thousands of diners’ names. Bring along a black marker to ink your message as you contemplate the traditional Cuban menu. The beef hash, shredded beef and black bean rice dishes are all culinary gems. For an unconventional ride through the streets, zoom in and out of traffic in an egg-shaped coco taxi. Hang on tight for a unique experience that encompasses the sights, sounds and smells of the city. Alternatively, trot along in a horse-drawn carriage at a less harried pace – a charming experience that creates a 20 megapixel opportunity. Apart from strolling past the lone fishermen, couples, clusters of friends and joggers on this harbour-front promenade, the quintessential way to experience the Malecón is to cruise down its lanes in a 1950s classic car – especially at sunset. With the wind in your hair and sunglasses to boot, watch the sun’s rays bathe the peeling, fading glory of the art deco and colonial buildings in a warm impressionist glow. 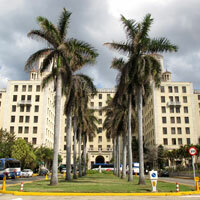 With a stately presence befitting a national monument, the 81-year-old Hotel Nacional de Cuba (www.hotelnacionaldecuba.com) has pampered countless dignitaries and celebrities in her venerable suites. Word has it that Frank Sinatra and Ava Gardner honeymooned here. Shoot the breeze at one of the tables dotting the expansive grounds or head up to the terrace to enjoy a commanding view of the Malecón. A designated UNESCO World Heritage Site, La Habana Vieja (Old Havana) enthrals all comers with its narrow streets and bustling squares studded with architecture ranging from art deco to baroque and neoclassical. Explore on foot and wend your way through the historical buildings and the four main squares – Plaza de la Catedral, Plaza de la San Francisco, Plaza Vieja and Plaza de Armas. Stilt walkers and their raucous bands may bring pedestrians to a screeching halt. 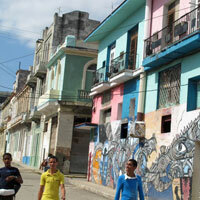 Highlight this area on your Havana guide jottings. Located on Obispo Street, the main thoroughfare that leads to Old Havana, La Lluvia de Oro resounds with live Afro-Cuban music nightly from 8pm. This unassuming bar serves great Cuban food, and having dinner there will secure you a table well into the night. Grab a table at the front and you may be handed a pair of maracas to help the band out. Tucked away in the basement, Cuban jazz stronghold La Zorra y el Cuervo’s allure lies in the electrifying performances by incredibly talented musicians. Legions of enthusiasts pack the bar every night and with occasional performances by visiting jazz greats, it’s little wonder Cuban nightlife is always effervescent. A curvaceous beauty that’s emblazoned on refrigerator magnets and paintings, the vintage car turns heads as it roams the roads. Commonly used as taxis, a joy ride in one is an experience, despite the din of the engine. Stake out the pavement outside Hotel Saratoga’s entrance, where a steady stream of cars in various shapes, sizes and colours will richly reward patient photographers. Despite his stature, the Ernesto Che Guevara Mausoleum located in Santa Clara – where Che had victoriously fought in the last battle of the Cuban Revolution in 1958 – is surprisingly small. An eternal flame lit by Fidel Castro illuminates a section of the room that contains Che’s exhumed remains and those of his slain fellow guerillas. An adjacent museum displaying his personal effects also traces the milestones in his life. Head to the Callejon de Hamel neighbourhood, where two and three-dimensional mural masterpieces cover almost every conceivable inch of space. A visionary undertaking by local artist Salvador Gonzalez Escalona, splashes of colour, geometric images and imposing sculptures celebrate Afro-Cuban culture. It can be a visual overload. 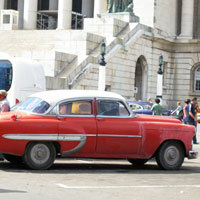 That’s our quick-pick Cuba guide and Havana nightlife sampler. Start working on that visa. It could take a while. As a rule, accommodation at most hotels is comfortable and spacious. Additionally, central locations make exploring convenient. Safety is rarely an issue. At all-inclusive resorts such as the Hotel Melia Varadero and Brisas Trinidad del Mar, free-flow alcoholic cocktails and beverages included in the room rate make the whole day a very happy hour indeed. Currency: Though two types of currencies are circulated in Cuba – Convertible pesos known as CUC and Cuban pesos – tourists are only allowed to pay for most purchases in Convertible pesos. Euros, Canadian dollars and the pound sterling are widely accepted; but not US dollars. The exchange rate is roughly €1 = CUC1.29. Metered taxis are readily available, especially from the airport and hotels. The starting fare is CUC1. While private taxis do ply the roads (one should agree to a fare before hopping in), a more unique way of getting around would be to flag down a coco taxi. Hotel Melia Habana, Havana. Tel: [53-7] 204-8500, fax: 204-8505, (e-mail: melia.habana@solmeliacuba.com or www.solmeliacuba.com). Hotel Nacional de Cuba, Havana. Tel: [53-7] 836-3564, (e-mail: reserva@hotelnacionaldecuba.com or www.hotelnacionaldecuba.com). Hotel Saratoga, Havana. Tel: [53-7] 868-1000, fax: 868-1001, (e-mail: info@saratoga.co.cu or www.hotel-saratoga.com). Brisas Trinidad del Mar, Trinidad. Tel: [53-7] 204-3449, fax: 204-5956, (www.brisas-trinidad-del-mar.travels2cuba.com). Hotel Melia Varadero, Varadero. Tel: [53-45] 667-013, fax: 667-012, (e-mail: melia.varadero@solmeliacuba.com or www.solmeliacuba.com).